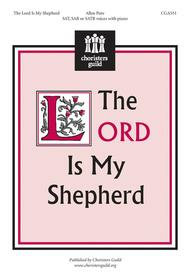 The Lord Is My Shepherd composed by Howard Goodall. For Voice & Piano. Sheet; Solo; Song - Sacred; Vocal; Worship Resources. Faber Edition. Sacred. Published by Faber Music (AP.12-0571520944).ISBN 0571520944. Sacred.Goodall's setting of Psalm 23 is warm and melodious and has been, and will continue to be, popular with choirs everywhere. Alternative accompaniments for strings are also available. The Lord Is My Shepherd composed by Franz Schubert (1797-1828). For Choral (SSAA). Music Sales America. Sacred, Sacred, Film and TV. 12 pages. Novello & Co Ltd. #NOV290103. Published by Novello & Co Ltd. (HL.14019418).The Lord Is My Shepherd, Psalm 23, scored for female voices SSAA by Franz Schubert. 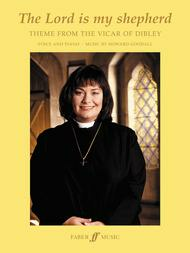 This melody has been made famous as the theme to BBC Television's The Vicar of Dibley. 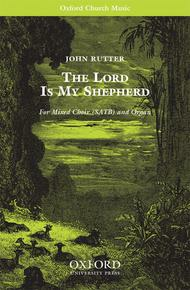 The Lord is my shepherd composed by John Rutter (1945-). For SATB choir and organ/ensemble/orchestra. Mixed Voices. Secular, Choral Leaflet. Vocal score. 12 pages. Duration 5'. 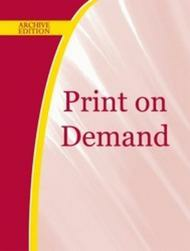 Published by Oxford University Press (OU.9780193856295).ISBN 9780193856295. 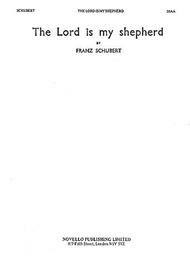 Secular, Choral Leaflet.For SATB and organ, or accompanied by chamber orchestra (oboe, harp, strings) or by small ensemble (oboe, harp, and organ). The instrumental material is available on hire from the publisher. The Lord Is My Shepherd (SATTBB and Piano). Composed by Will Todd. For Choral (SATTBB). Boosey & Hawkes Sacred Choral. Softcover. 16 pages. Boosey & Hawkes #M060124495. Published by Boosey & Hawkes (HL.48022647).ISBN 0851627285. 7.25x10.25 inches.This setting was written as the 4th movement of Todd's 2009 Te Deum which was commissioned by the Vivace Chorus. Todd's jazz background is evident in this approachable but effective setting of the famous psalm text. The Lord is My Shepherd composed by Samuel Cooper. Arranged by Terry Kirkland. For unison/2-part choir. Sacred Anthem. Moderately easy. Octavo. Published by Triune Music Inc (LO.15-1138).A rich and flowing, through-composed setting of Psalm 23 combining modern and Biblical language and traditional and contemporary harmonies to bring the familiar text to life for today's children. The Lord Is My Shepherd composed by Allen Pote. For SATB choir (with optional SAB). Sacred Anthem. Octavo. Published by Chorister's Guild (LO.CGA551). 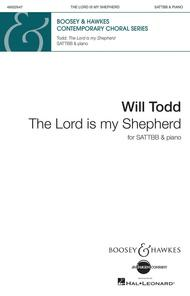 The Lord Is My Shepherd composed by Thomas Matthews. For Choral (SATB). H.T. Fitzsimons Co. Sacred. 8 pages. 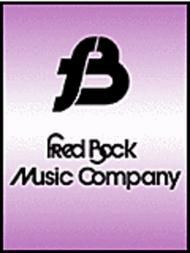 Fred Bock Music Company #F2137. Published by Fred Bock Music Company (HL.8738821).